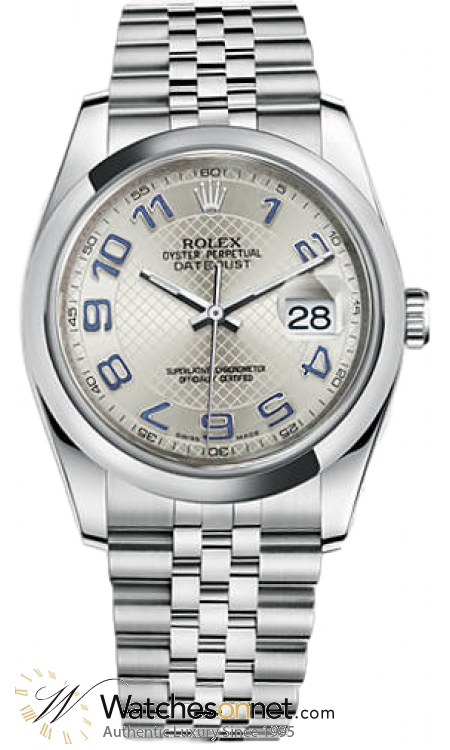 New 100% Authentic Rolex DateJust 36 Women's Watch, Model Number 116200-SLV-BLU-J features Automatic Movement. 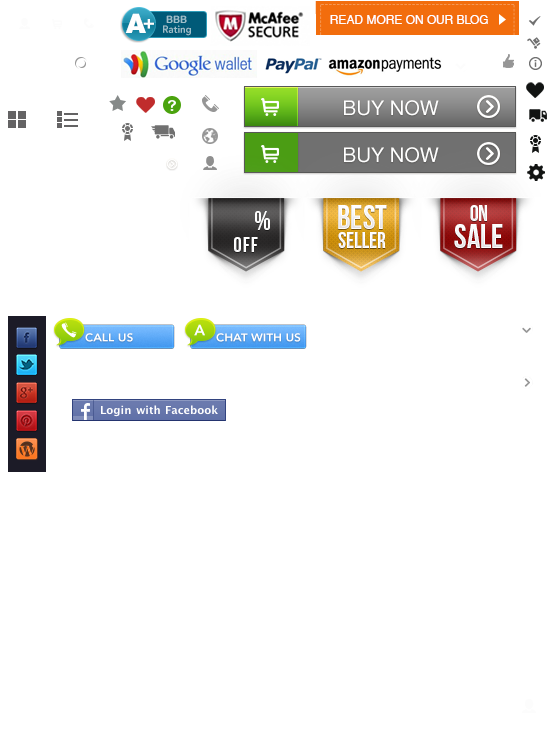 Made from Stainless Steel, This Watch has a Silver dial and fitted with a Stainless Steel bracelet. 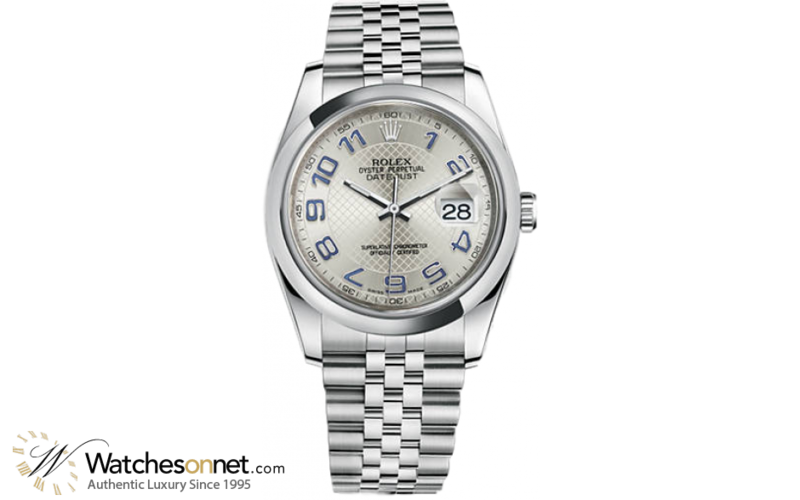 Rolex DateJust 36 collection Women's Watch, Model Number 116200-SLV-BLU-J features Automatic Movement. Made from Stainless Steel, the bezel is made from Stainless Steel this Watch features a Scratch-Resistant Sapphire crystal, and has a Silver dial, its Stainless Steel bracelet is adjustable from 8 in (20.3 cm), the clasp is a Hidden Folding Clasp type and is covered under warranty for 2 Years.